1. Click on the "My Profile" / "Order service" button. First, select Currency from the Top Drop Down Currency List (EUR, HUF, USD, BTC). 2. 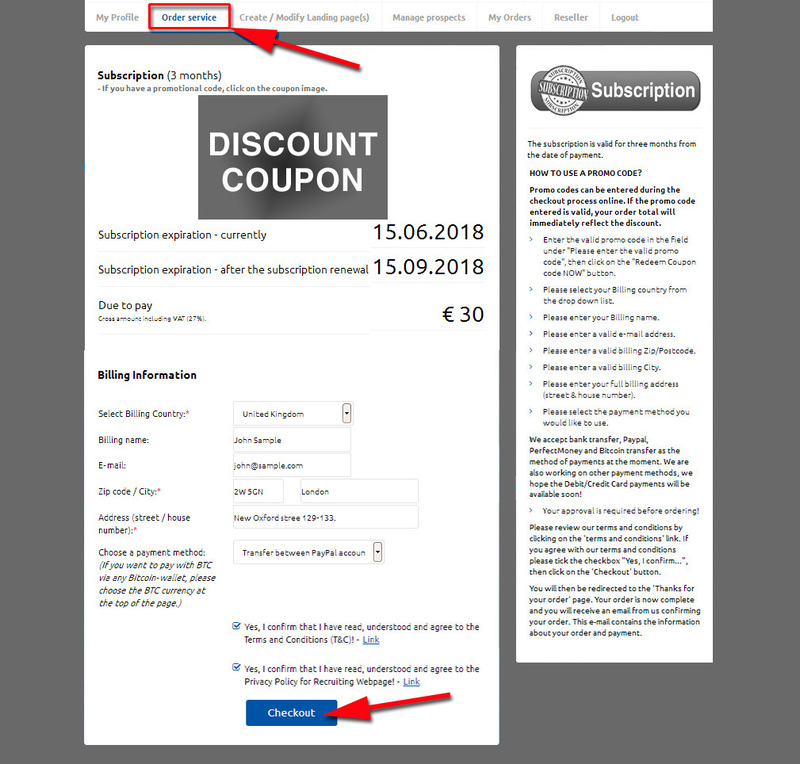 Now enter your billing data (country, name, e-mail, zip, city, address). 5. You will then be redirected to the "Thanks for your order!" page. Your order is now complete and you will receive an email from us confirming your order. 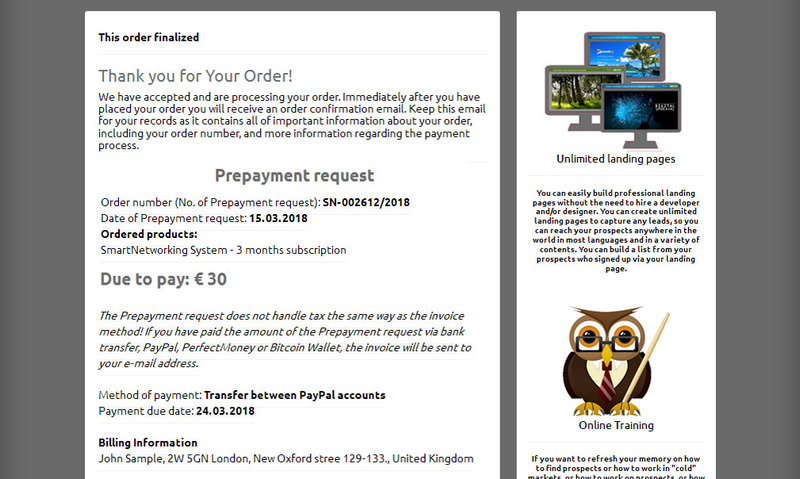 This e-mail contains the information about your order and payment. 6. Now click on the "My Profile" / "My Orders" button. Here you can constantly review your existing orders. The "Status" shows whether the amount of the order has been received or not (Unpaid / Paid).